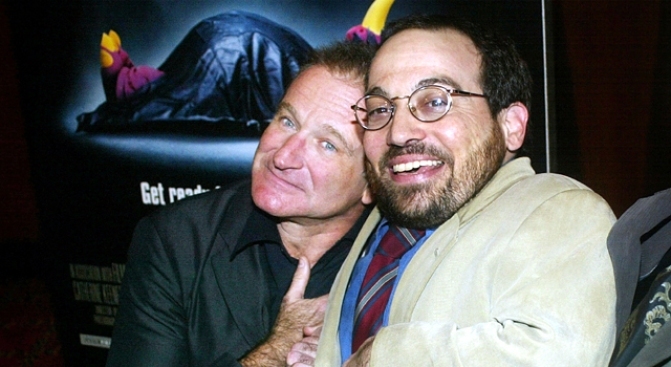 It's not known if Danny Woodburn, seen here with Robin Williams at the "Death to Smoochy" premiere in 2002, will be at this weekend's convention, but the folks at the Marriott in downtown Brooklyn are preparing for a big turnout. About 3,000 members, along with their families, are expected to attend. The Marriott in downtown Brooklyn is the go-to place for hospitality for the week-long event. Adjustments to the hotel have been made to make the guests more comfortable. Hotel reps raised the stools at the bar, installed a lower check-in desk, placed the soap closer to the edges of bathroom sinks and even lowered the heights of the beds and ironing boards. “Every group has its needs; the LPA is no different,” hotel spokesman Gary Marmer told The Daily News. The activities throughout the week will include relationship and parenting workshops, medical clinics, tours, a special Dwarf Athletic Association of America sporting event on Randall’s Island and a gala banquet to punctuate the event. Members will get sightseeing tours and have been given tickets to see the "Lion King" and Blue Man Group. Neighbors of the association are accommodating the little people as well. Just two blocks from the hotel, they can get a New York hair cut at Jack’s Barber Shop, where the manager has adjustable stools and a 6-inch cushion. The little people will range in height from 2 feet to 4-foot-10, and will represent 18 countries. “It’s going to be quite a sight," event spokesman Clinton Brown, a little person himself, told The Daily News. "It’s going to be unique, but I think it will do wonders for little people."